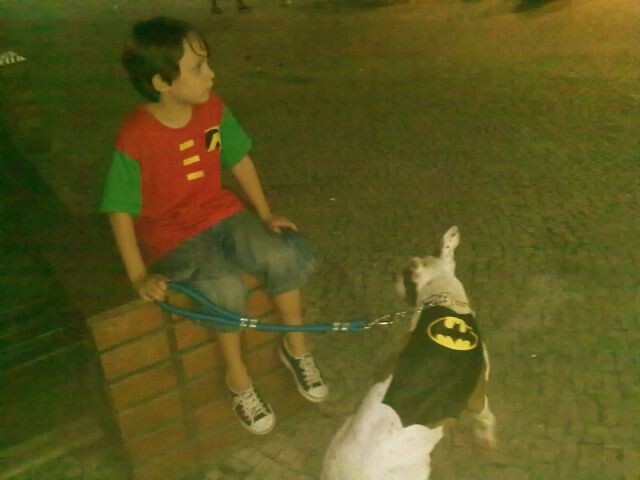 My son is a huge Robin fan- that's right, not Batman, or Batman and Robin. 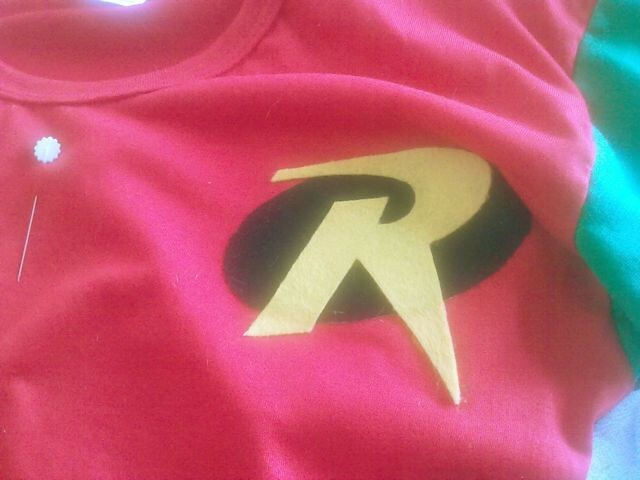 Just Robin - because of the Teen Titans cartoon. 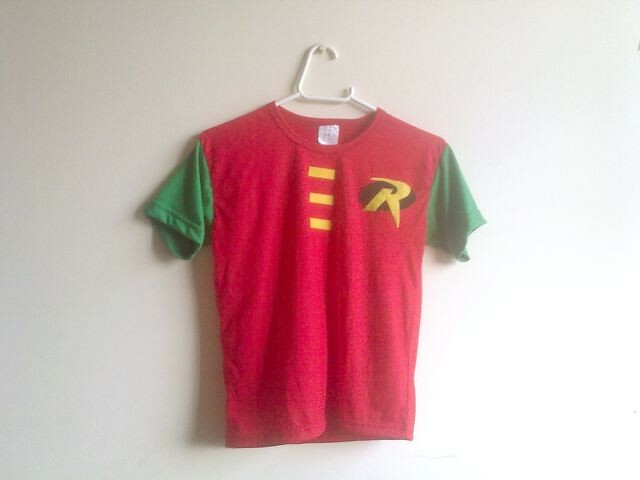 So I've bought 2 t-shirts, and improvised a Robin tee that was a hit, and also considerably fresher than the costume and - my lil' one's favorite part: it can be wore as a regular tee! And he does. Using the seam ripper take out the sleeves of both t-shirts- it's important that you make sure you're ripping only the sewn thread, and not the fabric- it will be easier to make the transplant later if the sleeves are intact. 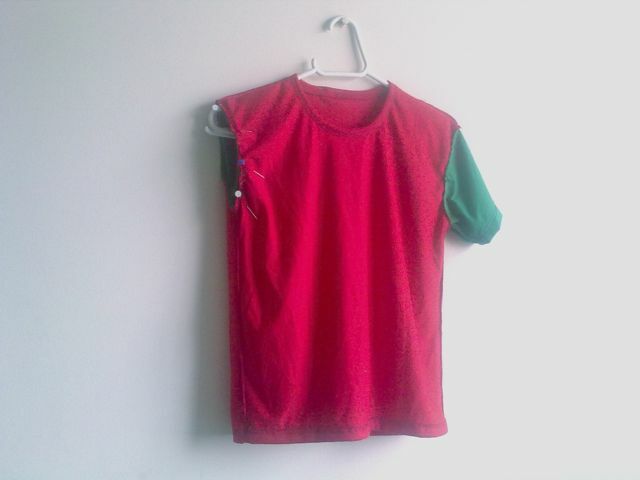 pin the green sleeves to the red t-shirt, right sides facing (align the side seam of the t-shirt to the "arm pit"seam of the sleeve) and hand sew them together. Now for the fun part: Robinize your tee! Cut the template and place over the felt ( trick: use adhesive tape to secure the template over the felt pieces and make it easier to cut). Fold the tee in half. length wise and mark the middle. Pin and sew the yellow strips ( what are they? buttons? 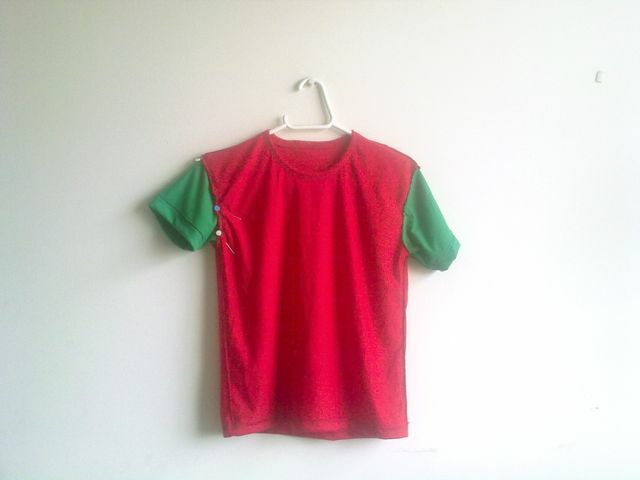 i have no idea) 1 inch apart from each other (for a 6-8 yo sized t-shirt).